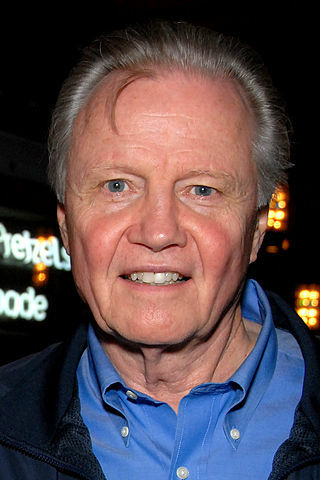 Jon Voight was born in Yonkers, New York, United States, on December 29, 1938, is an American actor. Young Jon Voight began his acting career on stage in New York City, in the early 1960s. He made his television debut in police drama series Naked City in episode Alive and Still a Second Lieutenant (1963), in role as Victor Binks. He made his big screen debut in fantasy comedy film Fearless Frank (1967) in role as Fearless Frank. Jon's breakthrough performance came as Joe Buck in the buddy drama movie Midnight Cowboy (1969), for which he was nominated for the Academy Award for Best Actor. He won the Academy Award for Best Actor for his role as Luke Martin in drama film Coming Home (1978). He was nominated for the Academy Award for Best Actor for his role as Oscar "Manny" Manheim in drama thriller movie Runaway Train (1985). He was nominated for the Academy Award for Best Supporting Actor for his role as Howard Cosell in biographical sports drama film Ali (2001). He won a Golden Globe Award for his role as Mickey Donovan in crime drama television series Ray Donovan in 2014. He portrayed Pope John Paul II in TV miniseries Pope John Paul II (2005), for which he was nominated for an Emmy Award. He was nominated for ten Golden Globe Awards and won four. He is father of actress Angelina Jolie. He was married to actresses Lauri Peters (1962-1967) and Marcheline Bertrand (1971-1980). He was in relationships with Diana Ross (2005-2006) and Barbra Streisand (1994-1995). You start where you can get an opportunity, you take everything that you can do to gain entrance. You do the little work and you try to find people who can teach you. Angelina is my daughter and I am always wishing her the best. I was raised Catholic... I fell in love with certain ideals. Doesn't make a difference who you're auditioning for; whatever it is, you have an audience, and you have a role, and you have the opportunity to perform that role the best you can for this audience. If you look at it like that, it doesn't make a difference if you get the part or not. I made a lot of mistakes as a young father. I made a lot of mistakes as a young man. I paid dearly, and my children paid dearly. I'm a character actor, and I've always been a character actor. If I do a scene with an actor who doesn't have much experience, I say, 'I tell you what we're going to do: You just listen to me, and then you respond. We don't have to do any acting.' And that's good advice because you shouldn't see the acting.